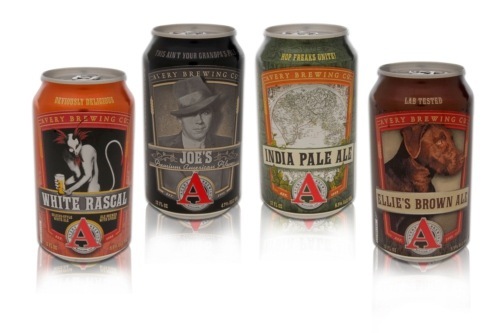 Avery Brewing has been making craft beer here in Boulder since 1993. It started small but it didn’t take long before their quality and ever-expanding selection made an impact in the beer world. Recently completing a move to expand further, they now produce over 8,000 barrels yearly and every one of them is delicious. Around Pettyjohns, when it comes time to stock the beer cooler, there is rarely a time when the Avery IPA hasn’t been cleaned off the shelf. With hops galore, a citrusy and floral nose (smell), and a strong malty finish, it’s the favorite of many Boulder beer drinkers. On the other end of the spectrum, their “White Rascal” (a Belgian-style wheat ale) is an unfiltered beer with a lighter body. It is cleverly spiced with coriander and orange peel to give it a zesty and refreshing finish, not straying far from a “classic ale”. Describing all of their many beers would take ages but suffice it to say that all of them are made with the same attention to detail and smart use of ingredients, setting their beers apart and make them truly wonderful. On sale all through August for $8.27/ 6 pack. Liliko’i Kepolo 4 packs and Perzik Saison 6 Packs on sale for $11.48. Now is a great time to stop by and grab something to quench the thirst that always comes along with relaxing outside, going on a hike or any other adventure that Colorado so readily provides. With their large selection of beers, you are sure to find something you love!